Kids can't get enough of this exciting Sing-Along CD Player. Featuring a fully programmable CD player with grown up style functions like skip ahead, skip back, and stop. It comes with 2 Sing-Along microphones to encourage sharing. 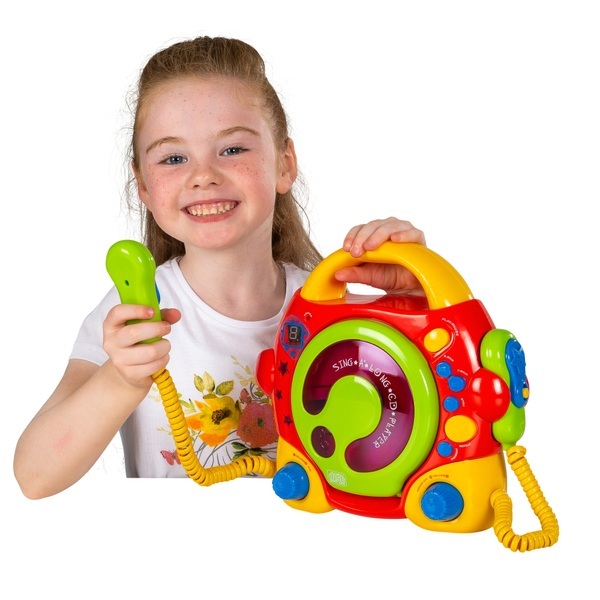 Its high quality sound system with its easy to use controls makes it a great gift for your little one. Kids will love to listen to more of their favourite tunes with this amazing Sing-Along CD Player. Thanks to its unique sturdy structure, it can withstand bumps and bangs.